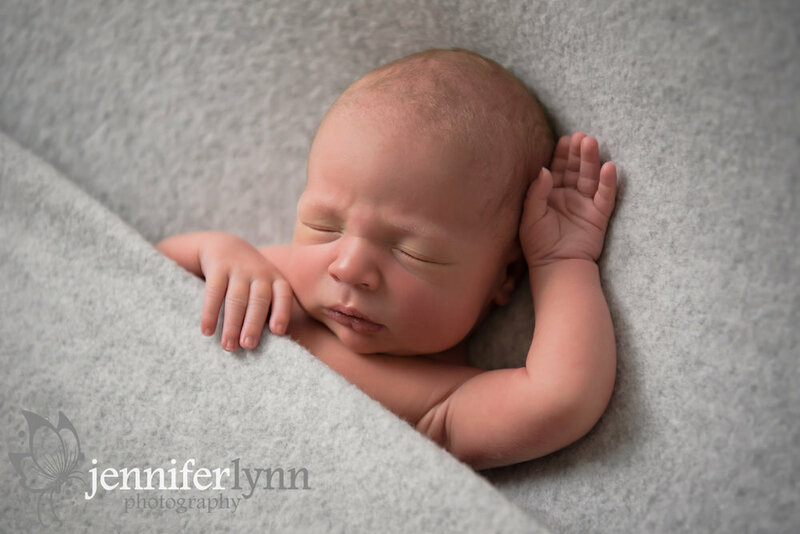 Tiny Luke also came in over the weekend for his photography debut with his newborn session. My goodness was he just absolutely precious! He was so curly and I loved his little back rolls and soft baby hairs. He was also an incredible sleeper! 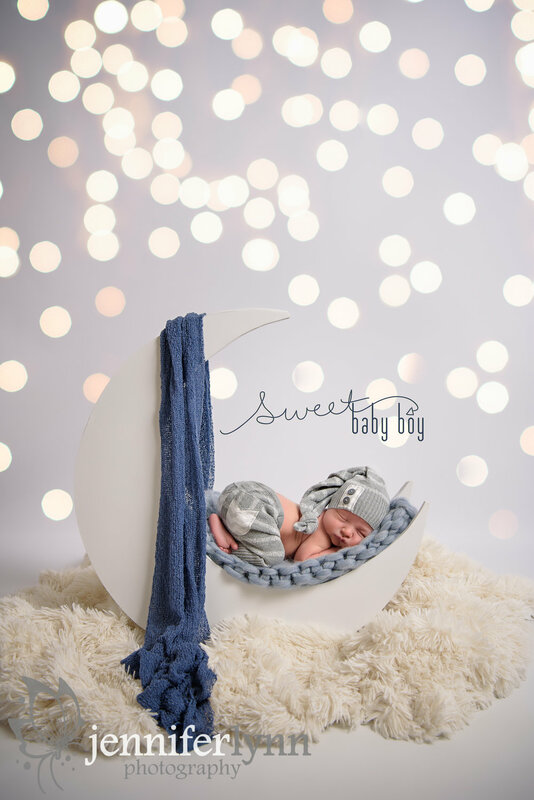 He was completely out the entire session - a newborn photographer's dream. I was able to get through everything I had planned plus add in a few fun things at the end, like a little Valentine set and the sleepy pose on his back. Even after all that moving around and adjusting for two hours, he was STILL out during his last photos. What a sleepy guy! I sure hope he stays like that for mom and dad so they can stay rested too! 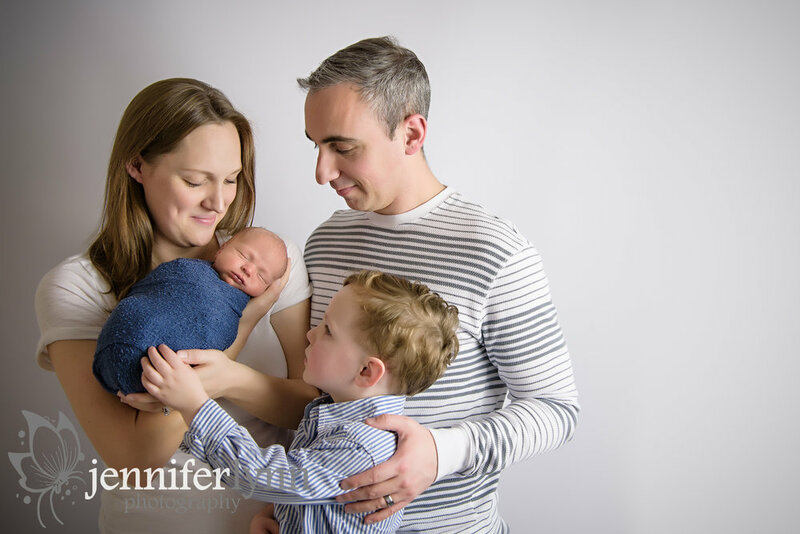 We also were able to get some great family photos at the beginning of the session, including some special ones with his big brother. I love how mom brought each boy's significant stuffed animal. I have so many photos of my kids with their loveys and I don't think they ever get old. I know one day they won't be carrying them around anymore or sleeping with them each night, so it makes it all the more important to have those memories photographed. Luke's big brother was such a trooper for dealing with my bright studio light and being in a new situation. I think we certainly got some keepers that mom and dad will treasure for years to come. A big thanks to this family for allowing me to preserve these special memories for you. I truly enjoyed spending time with you and getting some extra baby snuggles in the process.